2. insert a PDF in the cloud. When the PDF in the cloud is updated, d!nk will update the embedded PDF in the app of the user. You can easily link a PDF to text or an image. Just assign a hyperlink to the PDF file and your are done. Select the image or text, right-click and choose "hyperlink". Look for the folder to choose the PDF that needs to be embedded. Note: Make sure the PDF documents are on your computer, links to PDF's on a usb stick or external drive won't work. Embedding a PDF from a cloud drive has the advantage that embedded PDFs will be updated in the app without the need to upload a new version of the powerpoint. When a PDF is updated on the cloud drive, d!nk will push the new version to the apps of the users subscribed to the publication. Insert a hyperlink to the PDF file on Drive. 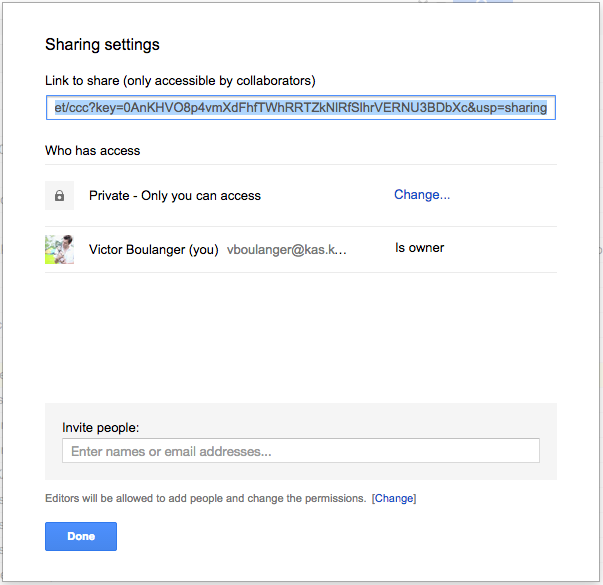 When you open the sharing settings of a document on Drive (rightclick document) you will see a link with this format: https://drive.google.com/file/d/[document key]/view?usp=sharing. You need to put the file on "public" so the d!nk plugin can fetch the file. Also, you need to be online during the creation. 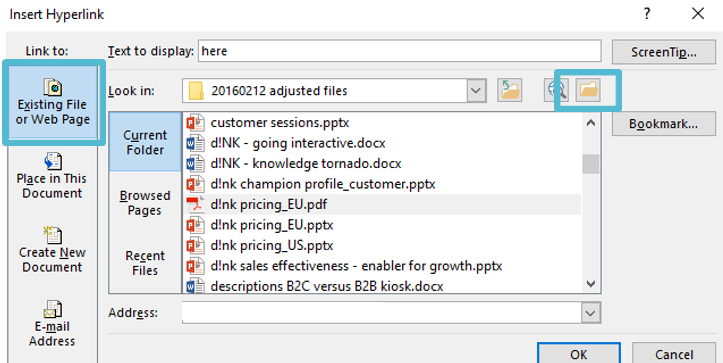 For automated update, the file or folder should be shared with google.drive@dink.eu.